Home Tags Posts tagged with "australia gdp"
According to the Australian Bureau of Statistic, the country’s gross domestic product (GDP) grew less than expected in Q2 2015 as the economy struggled to gain momentum. The Australian economy expanded 0.2% from the previous quarter and was up 2% compared with the same period last year. Quarterly growth of 0.4% had been widely expected, while the annual rate was forecast to be up 2.2%. Growth was hit by a “significant” decline in mining and construction activity as exports also fell. Mining production fell 3% in Q2 2015 as demand slowed from China, Australia’s biggest trading partner. The economy had grown a strong 0.9% in Q1 2015, its fastest pace in four quarters. The data comes a day after the Reserve Bank of Australia kept interest rates on hold at a record low of 2%. The central bank expects growth of 2.25% this year, but some economists said those forecasts could be too optimistic and that rate cuts could be back on the agenda. 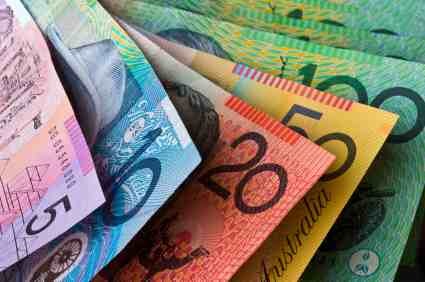 In reaction to the data, the Australian dollar fell to a six-and-a-half year low of $0.6986 against the US dollar, down 0.4% for the day. It had not fallen below $0.70 since 2009. However, a lower currency is helping to boost the economy as it tries to move on from its mining-led growth. Household spending supported growth in the period, rising by 0.5%. Australian shares were also down with the S&P/ASX 200 index lower by 1.1% to 5,038.80 after the data came out.